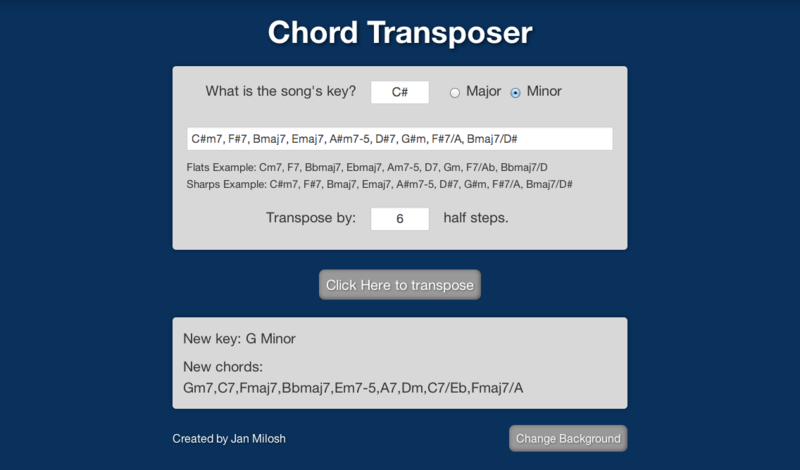 This app can handle complicated jazz chords as well as slash chords and can transpose either upward or downward in half-step increments. Just for fun, there is a random background color generator button. With each click, a new background color will appear.